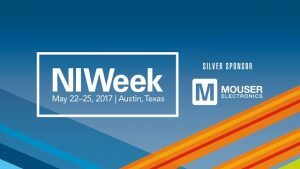 Mouser Electronics, the authorized global distributor with the newest semiconductors and electronic components, will be exhibiting as a Silver Sponsor at NIWeek, May 22 – 25 at the Austin Convention Center. Mouser representatives will be in booth 539 to discuss the latest technology that’s helping to empower innovation among design engineers. Presented by National Instruments (NI), the 23rd annual NIWeek brings together the brightest minds in engineering and science. Thousands of innovators representing a spectrum of industries, from automotive to telecommunications to robotics and energy, will learn about the latest technology to accelerate productivity for software-defined systems in test, measurement and control. The conference features technical sessions, interactive demonstrations and keynotes on the latest advances in science and industry. Mouser will have a large presence throughout the four-day conference, hosting booth 539. Mouser will be demonstrating MultiSIM BLUE Premium — the Mouser Edition of the NI Multisim circuit design tool — and the NI VirtualBench. Mouser representatives will also be available to discuss Mouser’s application and technology sites, as well as the newest products from more than 600 manufacturers featured on mouser.com. As an added bonus, attendees can stop by the Mouser booth for a chance to win a smartwatch. The annual conference includes more than 230 interactive and hands-on sessions, targeted industry summits, and more than 150 exhibitions on the latest advancements in design, research and test technology. Conference topics include 5G wireless technology, autonomous vehicles, digital energy, testing equipment, and smart machines. 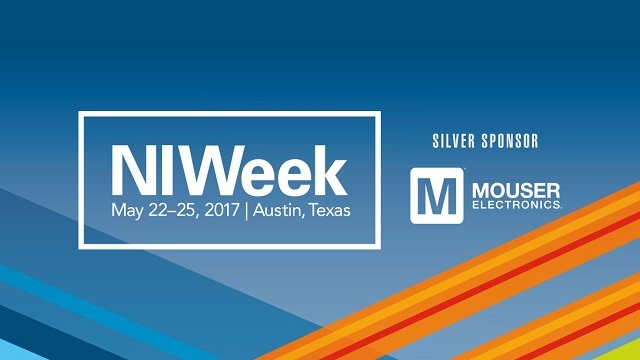 For more information about NIWeek, visit https://eng.info.mouser.com/niweek-2017.